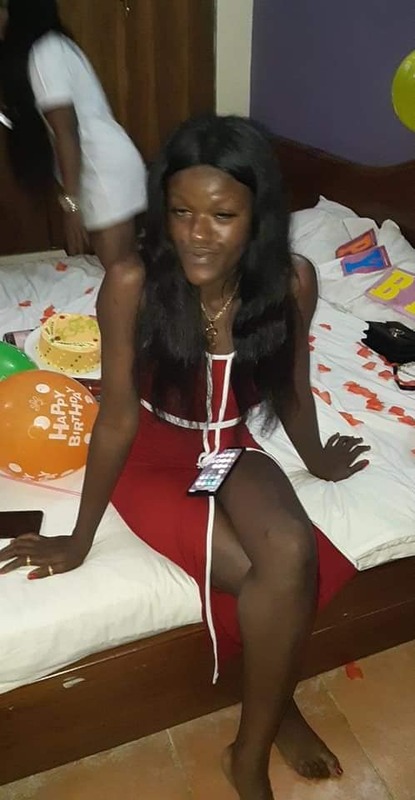 A young lady was caught after allegedly stealing valuables from a birthday party she was invited to in Benin city, Edo state. 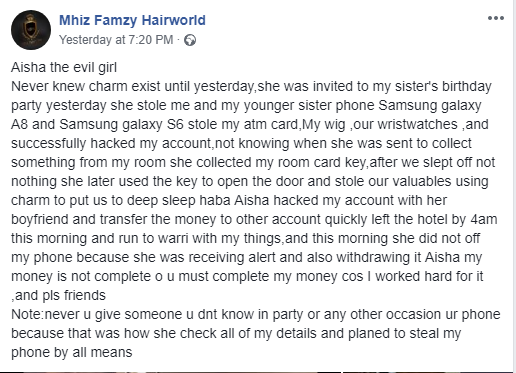 It was gathered that the suspect named Aisha, allegedly stole phones, wigs, wristwatches among other items and allegedly hacked an account via mobile phone where she withdrew about N180,000. According to Marian, after the theft, Aisha left the hotel where the party was held and fled to Warri in Delta state. 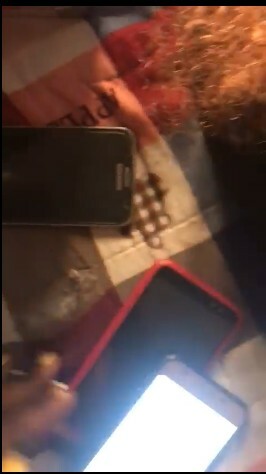 She was tracked down and the stolen items found in her posession. Read what was shared on Facebook below. 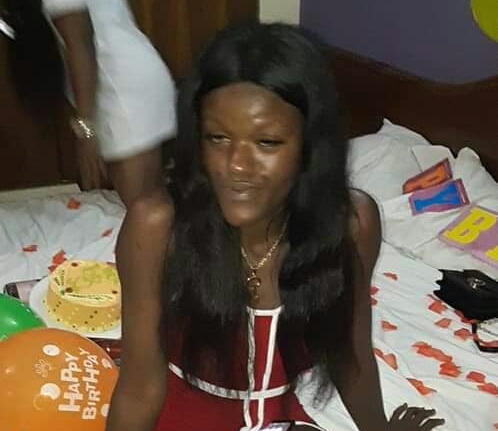 I never knew charm exist until yesterday,she was invited to my sister's birthday party yesterday she stole me and my younger sister phone Samsung galaxy A8 and Samsung galaxy S6 stole my atm card,My wig ,our wristwatches ,and successfully hacked my account,not knowing when she was sent to collect something from my room she collected my room card key,after we slept off not nothing she later used the key to open the door and stole our valuables using charm to put us to deep sleep.